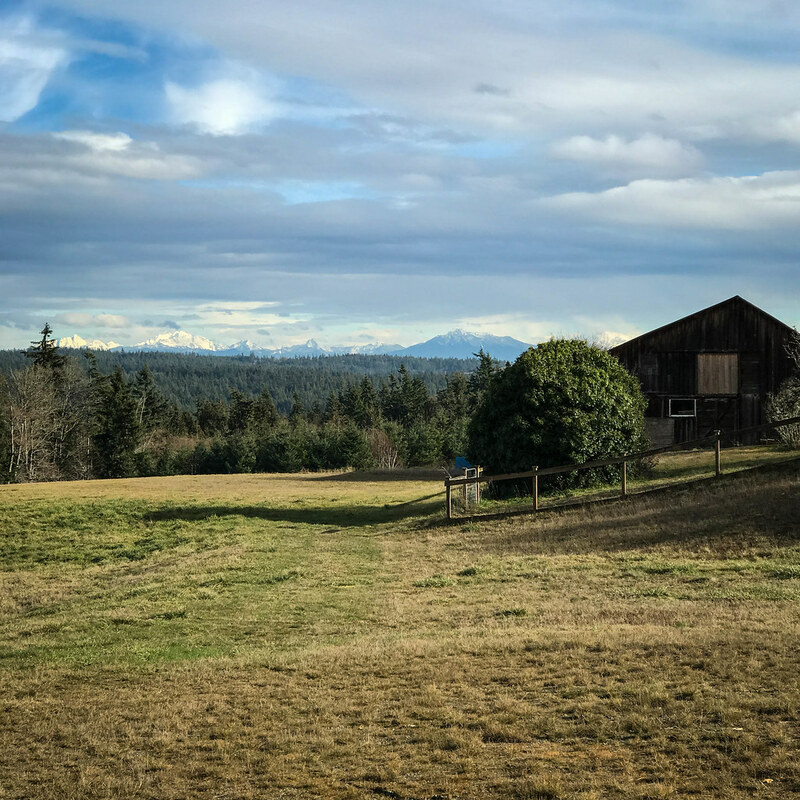 Late January rides are hit or miss in the Northwest, but when a nice day comes along, they may be the best time to be on the roads. 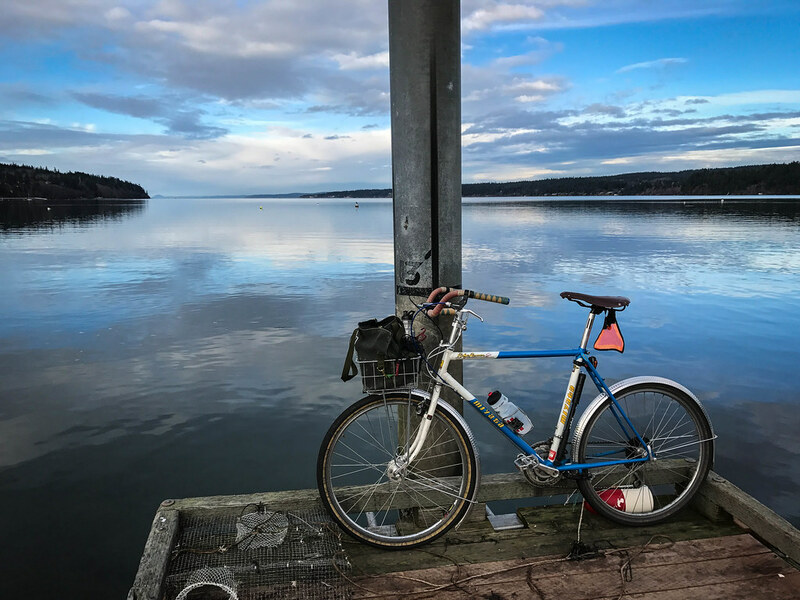 Little traffic greeted me a few weeks ago on a winter ride on Whidbey Island. 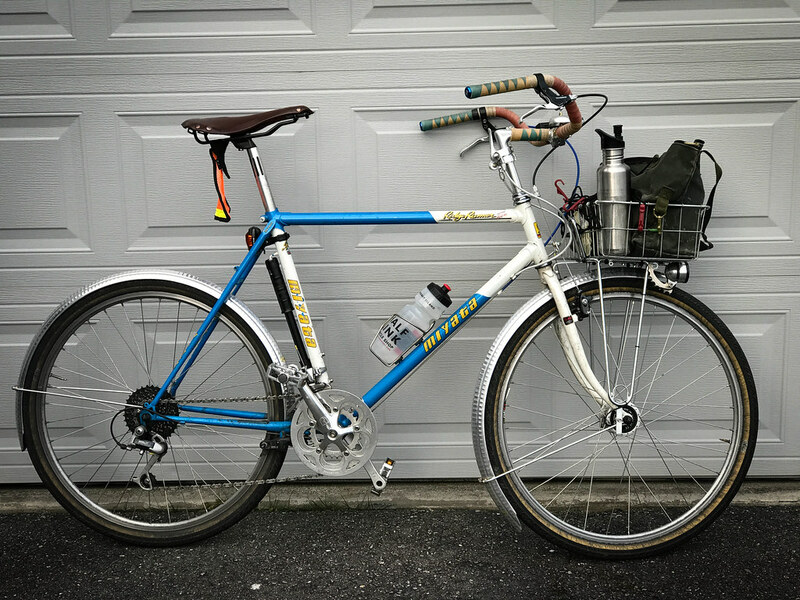 This one was to have some hills, and my bike was a fendered island bike – an old Miyata RidgeRunner Team. Not the lightest bike, but it seems to go as fast as I can go on anything this time of year. 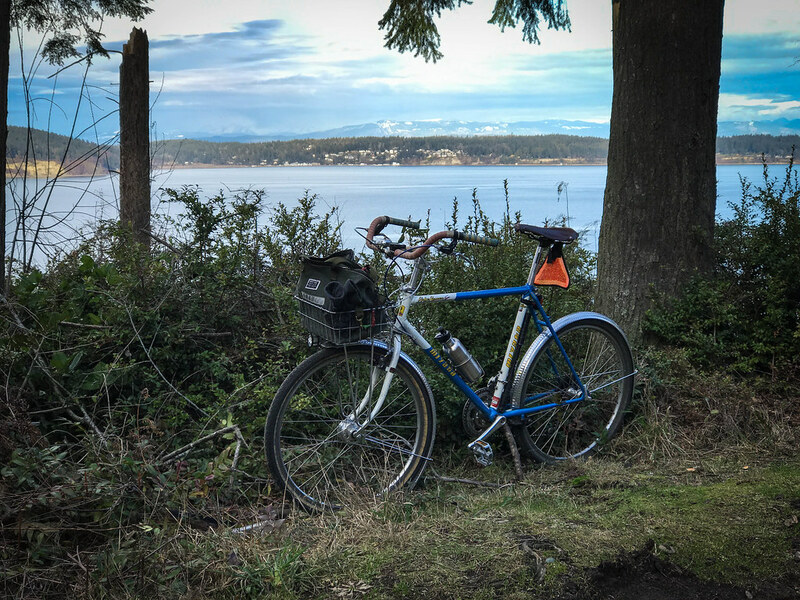 I have ridden a few of these hills recently, but wanted to try out Swede Hill on the south end of Whidbey. As the elevation graph shows, most of the big climbs were done in the first half of the ride. A couple were quite steep. Swede Hill hit at about the 12 mile mark. It went straight up from a picturesque beach area into a forested ridge. No real views west, but this picturesque farm awaited me at the top. The next scenic stop was just past Clinton at the 20 mile mark. This area of the island is mostly high bluff. You can see Camano Island peaking out on the left. The mountains were out, and I had great views of the Olympics and the Cascades, but I find most roads on the southeast side of the island are buried in dense forest with sporadic scenic stops. 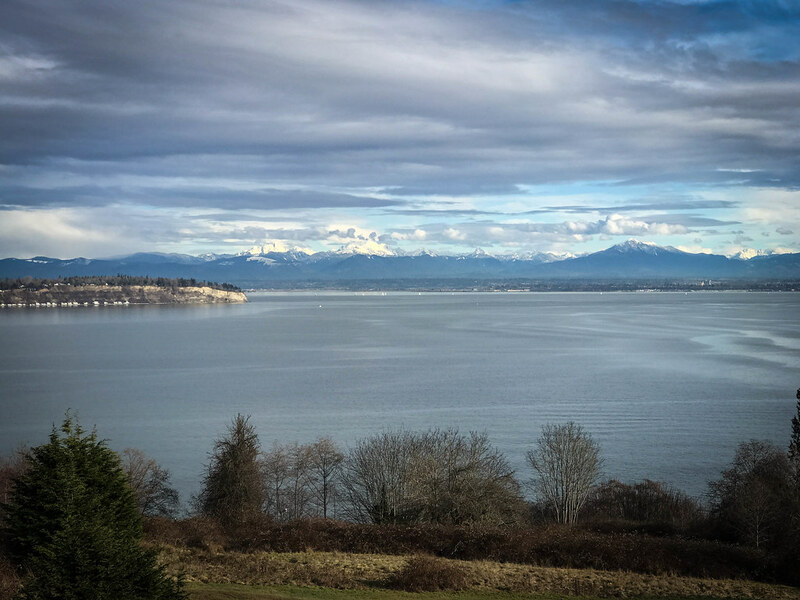 This stop overlooked Baby Island – a small refuge where Holmes Harbor meets Saratoga Passage. It is on a small dirt road with a mean, steep hill up to the main road near the end. Very secluded, it offers a great rest stop and views north and east into the Passage. The next time out, I’m going to reverse the course and see how it works out. It felt like a lot of work too soon going counter-clockwise.